Another great installment in the Frenchmen On Penn series at Pittsburgh Winery! New Orleans' finest musicians in Pittsburgh. Johnny Sketch and the Dirty Notes rock the house all the time every time! This classically trained New Orleans-based band delivers a smorgasbord of musical genres every time they hit the stage. JSDN defy easy categorization, their irreverent funk is cut with rock riffs, a Gypsy/Klezmer flare, a Latin tinge courtesy of a hard hitting horn section, and a sense of humor. JSDN is a collection of carefully crafted alter egos, mystical musicians hesitant to share their personal selves but collectively ready to funk beyond the call of duty. The ensemble features Johnny Sketch (Marc Paradis) on guitar, electric cello, and lead vocals; Busta Gnutt (Dave Pomerleau) on bass and backing vocals; Dirty Johnny (Andre Bohren) on drums and backing vocals; and Johnny Rico (Omar Ramirez) on trumpet and flugelhorn: Johnny Come Lately (Brad Walker) on Saxophones. With a live show that is as carefully crafted as their musical arrangements, JSDN want the audience to have FUN; carrying them from a calm, funky groove to a full blown frenzy at the drop of a hat. In New Orleans, and across the country JSDN have developed a loyal following of die-hard fans. Formed in 2001, JSDN have grown up together and as a band. That experience and cohesiveness is evident in every note they play. In May 2015, JSDN played their 12th consecutive New Orleans Jazz & Heritage Festival, and recently released their highly anticipated 6th album, produced by Tracey Freeman, who has also produced for Harry Connick Jr. and Kermit Ruffins. We are pleased to be working with the Thrival Innovation + Music Festival to present Johnny Sketch and The Dirty Notes with Eastend Mile! Thrival Innovation + Music festival is proud to kick off a great week of innovation programming and music with a show at the Pittsburgh Winery on Saturday September 19th. Presented by UPMC Enterprises, the Thrival Innovation + Music Festival features a full week of over 30 innovation programs throughout the city, capped by a two-day outdoor concert in Hazelwood on Friday, September 25 and Saturday, September 26 — featuring 26 live music acts on two stages. For more information about Thrival or to purchase tickets to the 2-day concert, visit thrivalfestival.com. 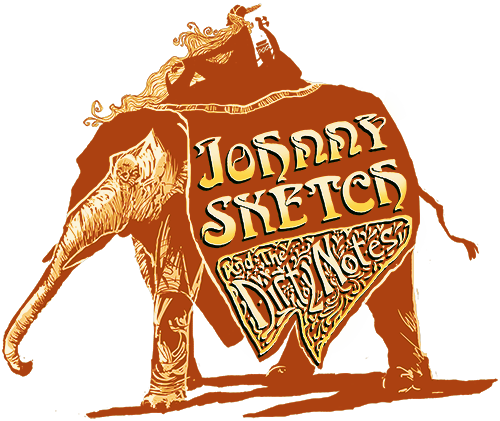 Tickets for the Pittsburgh Winery show featuring Johnny Sketch and The Dirty Notes with Eastend Mile are being sold separately via this page. Eastend Mile, a jazz rooted quartet from Pittsburgh, is a group devoted to reflecting the very definition of Jazz music; innovation and self-expression. Eastend Mile fuses Jazz with Hip-Hop, Indie Rock, and R&B, reflecting the essence of improvisation.